I can’t believe Daniel turned 5! I remember really enjoying him as a baby, and feeling like I actually knew what I was doing. 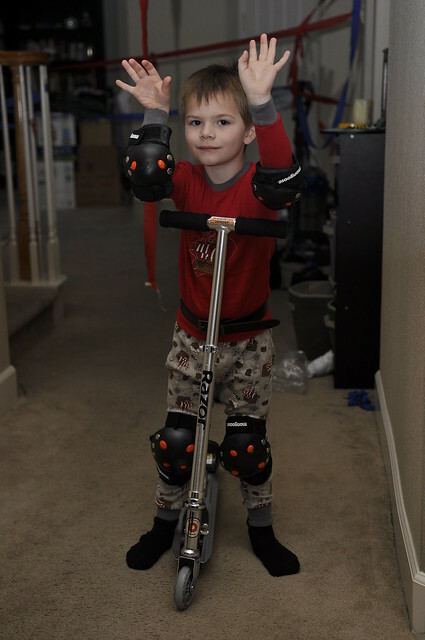 It brings me so much joy to see him grow up. He loves to know how things work and where things are kept. He loves to plan things like outside Christmas lights. He is already thinking about our Halloween decorations for this year. Recently Darryl was fixing something on our computer. Daniel came to watch and said to me, “I need to watch Dad fix this so I will know how when I’m a dad.” He is just a mini Darryl – right down to his knack for cooking. Lately Daniel has seemed really grown up to me. He plans (with me) and presents very thoughtful Family Home Evening lessons. One in December about Christmas symbols. And one in January about the Sacrament. Once he turned 5, Daniel was able to start Jr. Kindergarten. Free preschool 5 days a week! He is loving it and learning a lot. 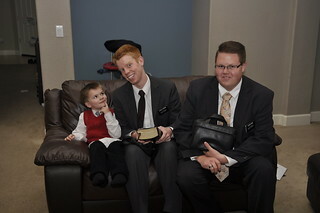 I love this picture we took when the missionaries were over to dinner! 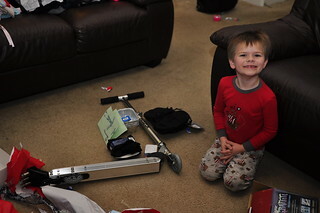 For his birthday Daniel got a two wheeled scooter, a belt for his Sunday pants, a backpack, and his own mini loaf pans. 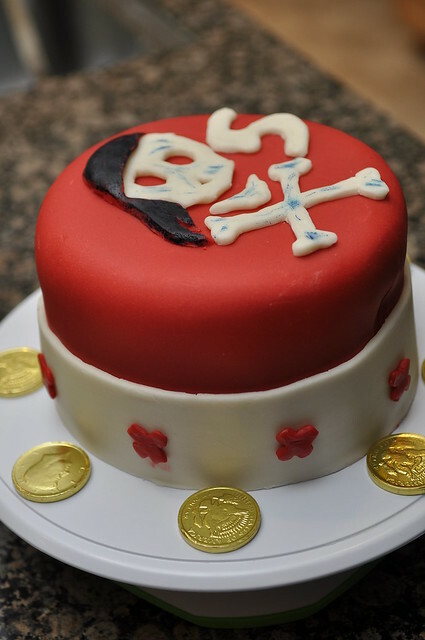 Darryl made a pirate cake. Posted by Darryl Melanchuk on Thursday, February 6th, 2014 at 8:06 pm. I had SO much fun doing his Valentine’s with him today!